American Safety Razor Company is a leading manufacturer of store, value, and premium-brand personal care consumer products primarily consisting of shaving razors and blades, and custom bar soap. 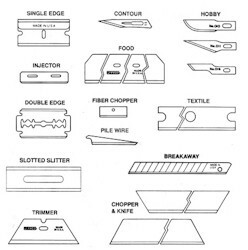 The Company's extensive blade manufacturing expertise extends beyond shaving razors and blades to encompass bladed hand tools and blades, specialty industrial baldes, and medical blades. Committed to increasing the Company's value for its consumers, trade partners, employees, and shareholders, American Safety Razor seeks to complement and expand its core business through a focused strategy of new product offerings, new distribution channels, increased penetration of current markets, and highly selective acquisitions that complement or expand existing business.